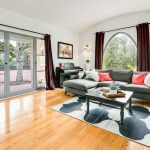 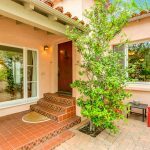 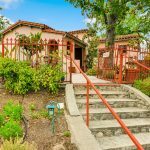 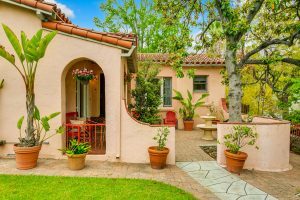 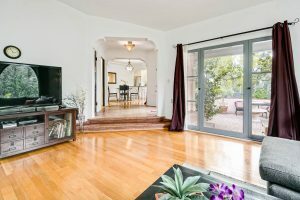 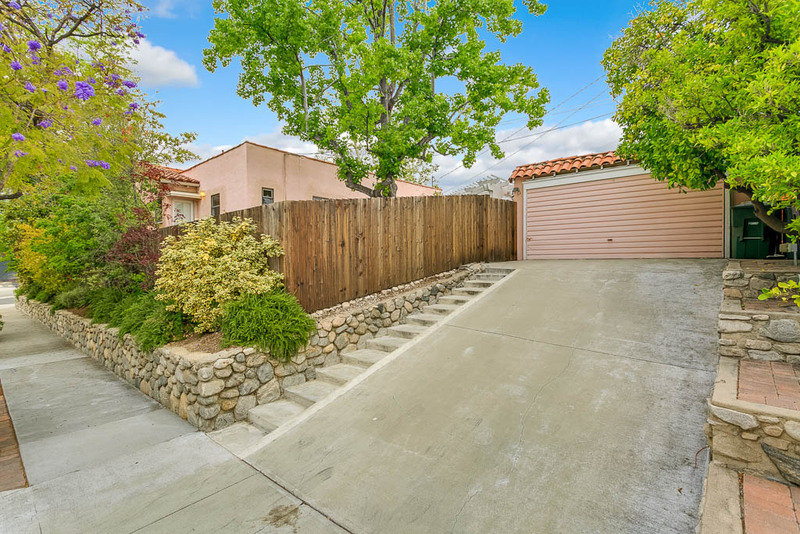 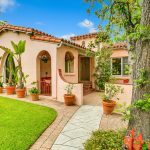 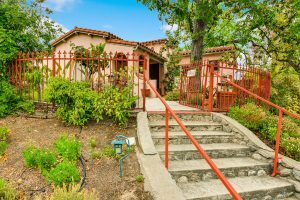 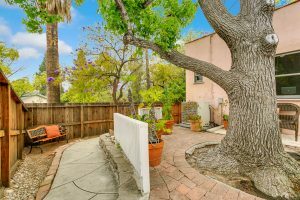 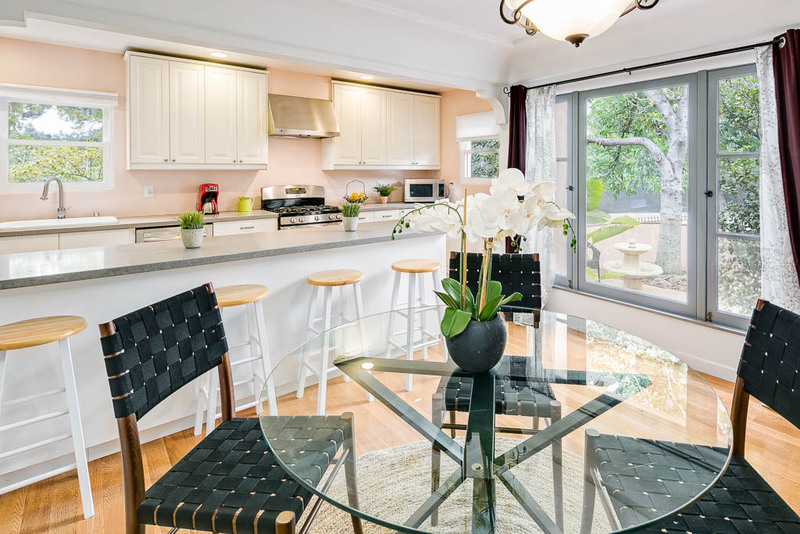 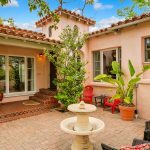 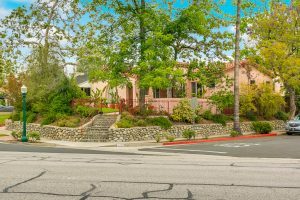 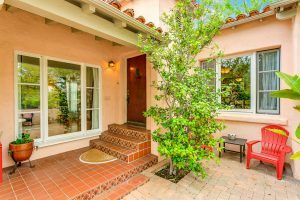 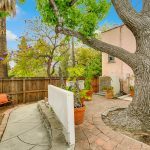 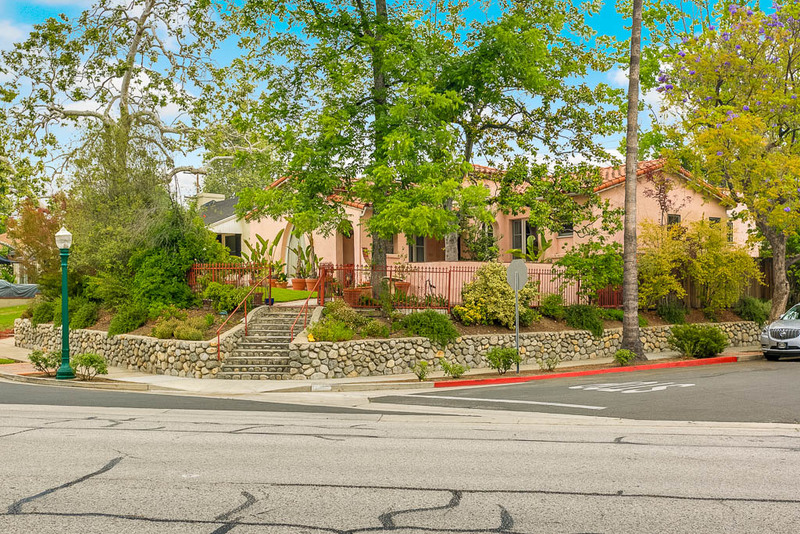 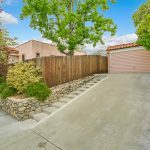 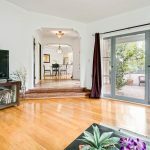 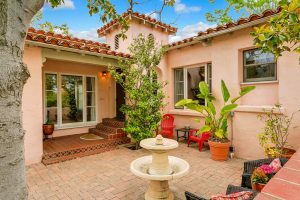 Walk up the stone stairs to the elevated, private front yard, turn around and survey the treed Oakmont Country Club and Glendale hills across the way. 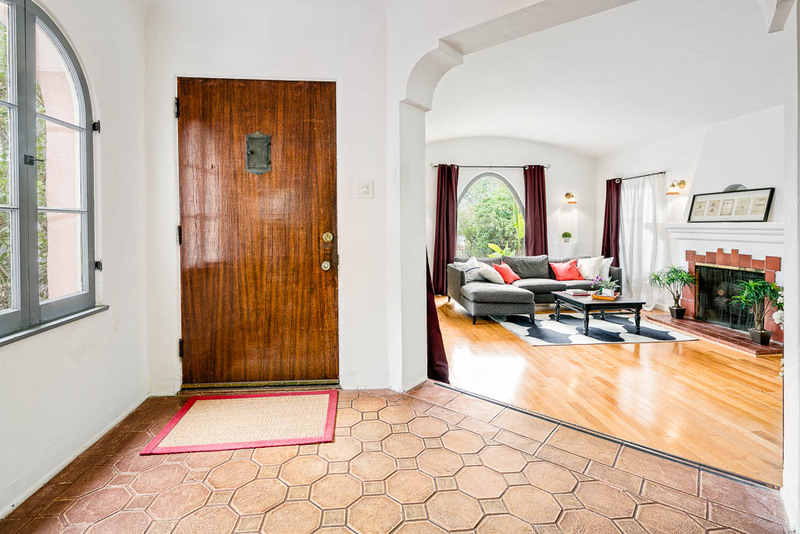 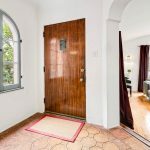 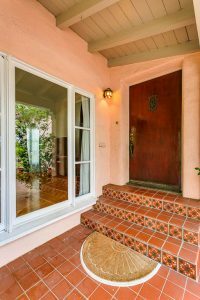 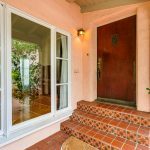 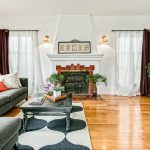 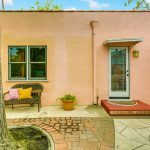 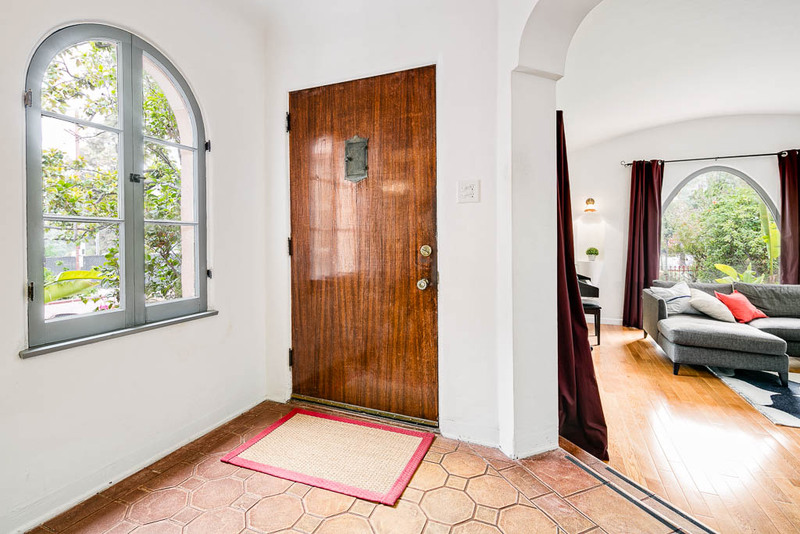 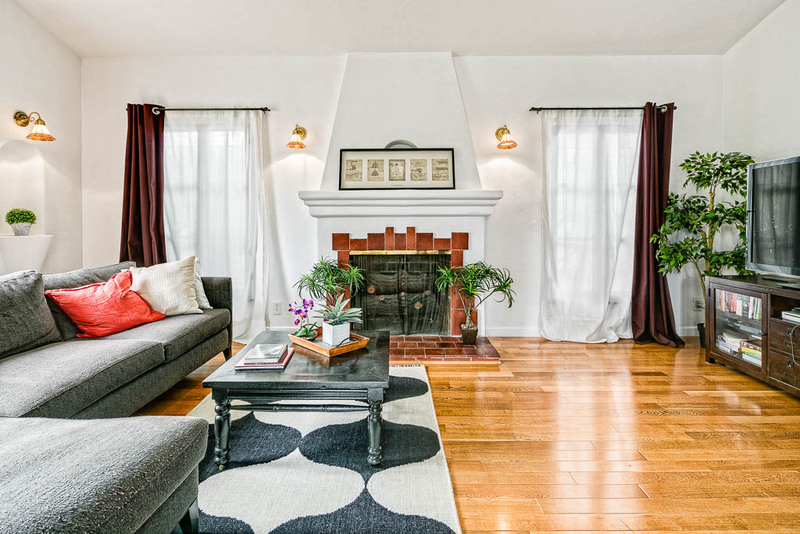 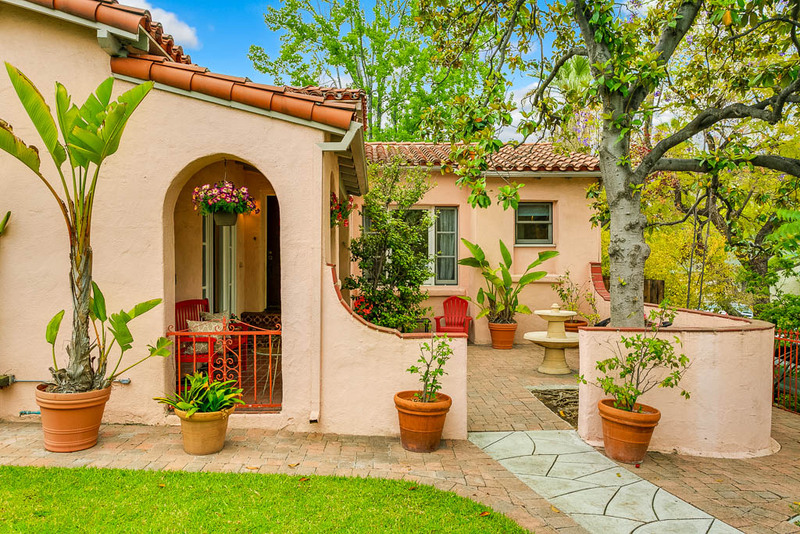 Now turn back around: This architectural Spanish Revival 1931 home awaits, completely refurbished in 2011, yet with its original charm intact. 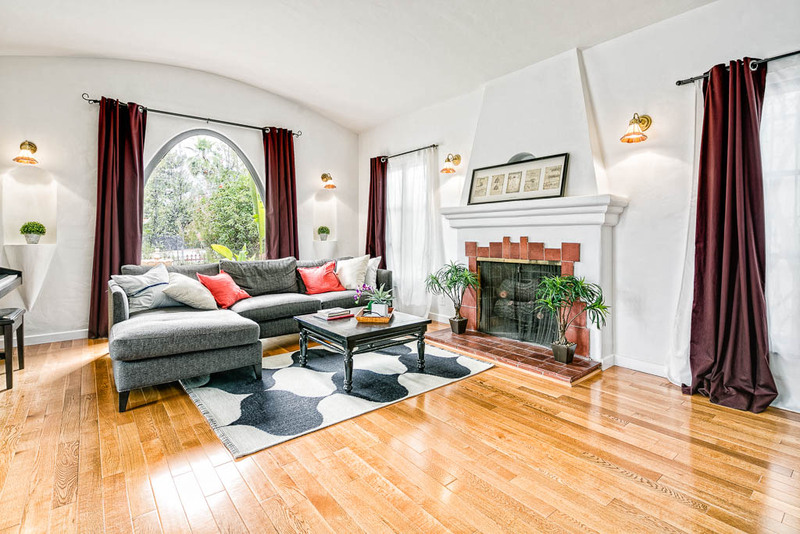 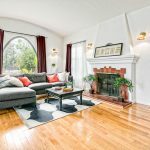 Step into the living room with barrel ceiling, red oak hardwood floors, tile accented fireplace, gracefully curved picture window, opening side windows next to the attractive front courtyard, and period sconces. 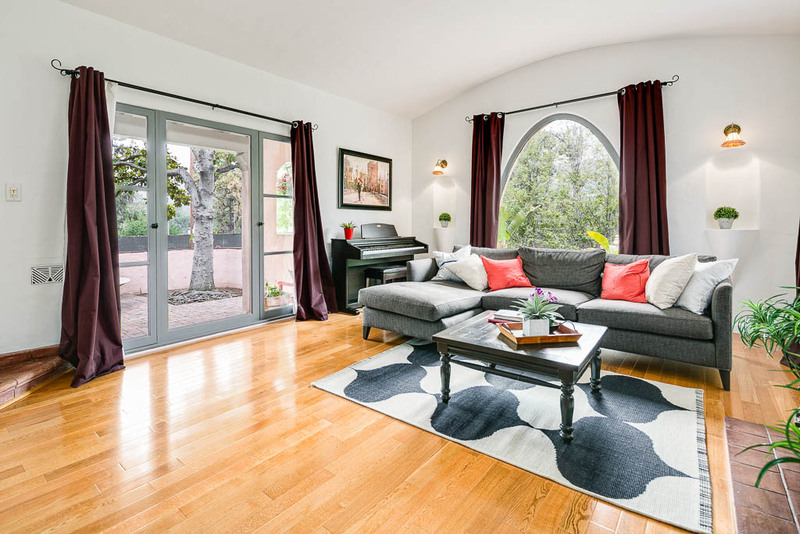 Across the foyer is the dining room anchored by a wrought iron chandelier and large window with opening side windows. 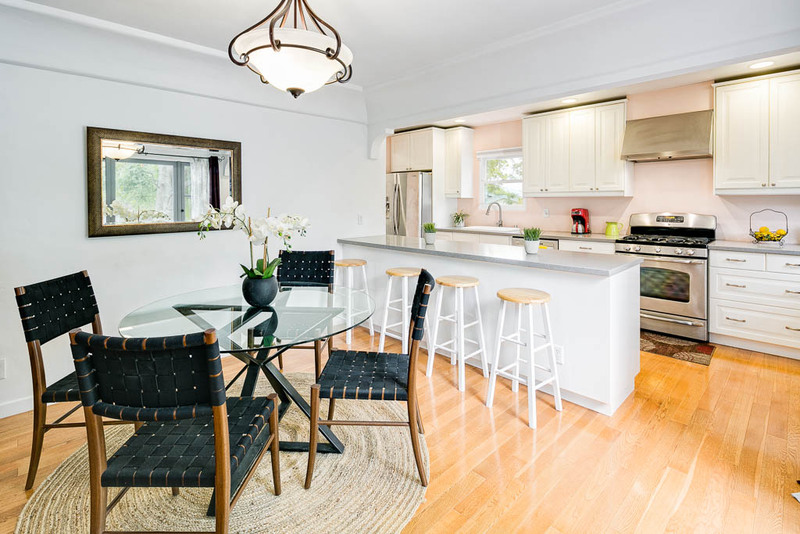 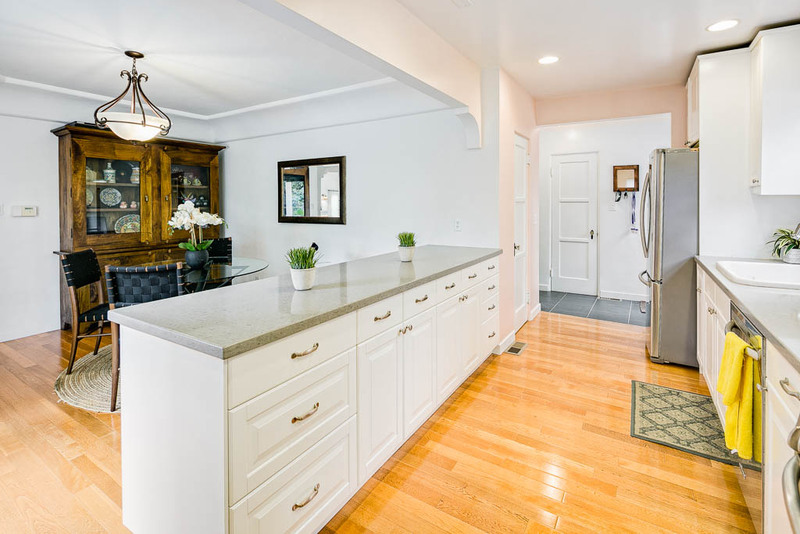 It adjoins the kitchen with a good sized breakfast bar. 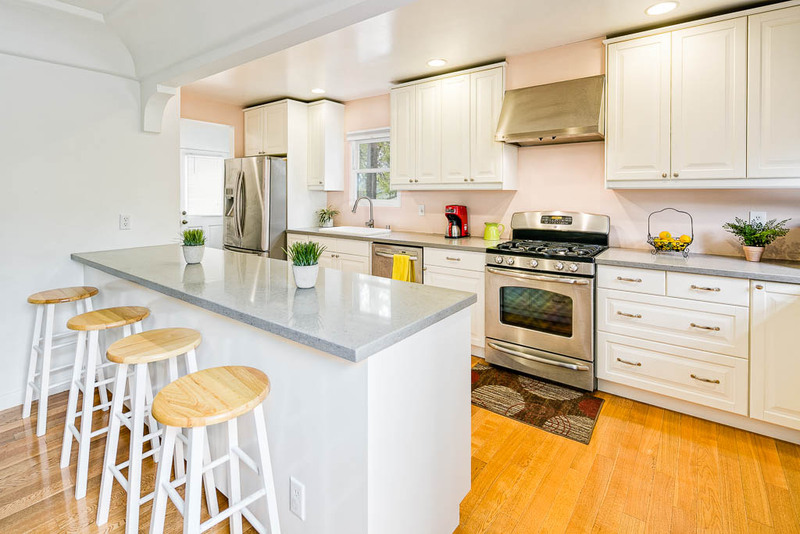 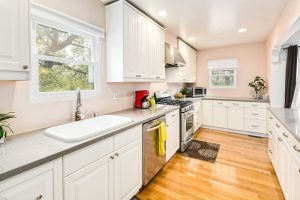 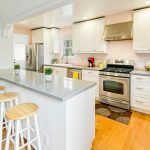 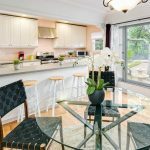 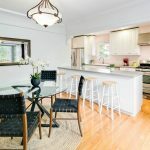 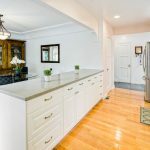 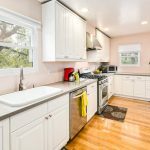 This kitchen is loaded with soft-close drawer space, pantry, recessed lights, Coastal Gray Caesarstone counter tops, Porcelain farmhouse sink with brushed nickel gooseneck faucet, and stainless steel appliances including GE microwave, Samsung Fridge, GE 5-burner range and GE dishwasher. 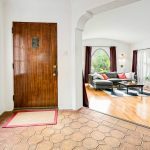 The mudroom with slate tile floor has access to a California basement where the furnace and hot water tank are. 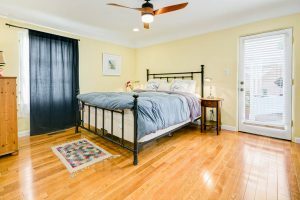 Off the hallway are three bedrooms including a Master Suite. 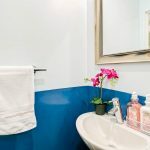 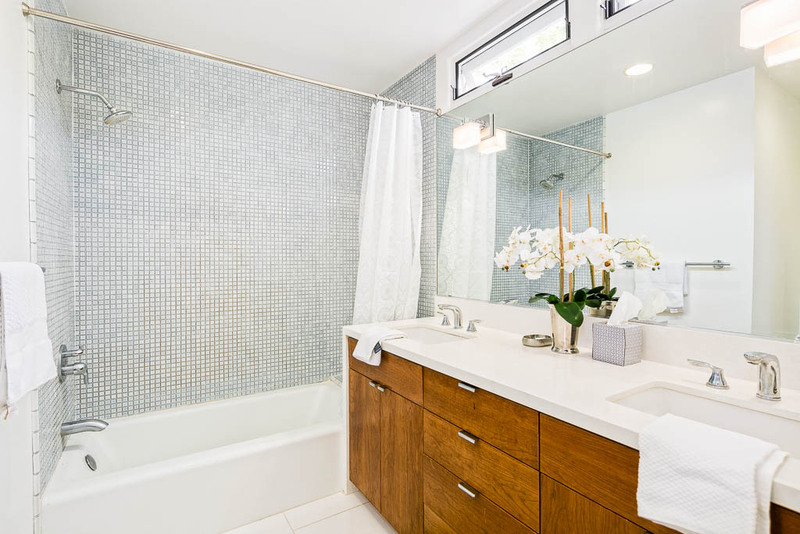 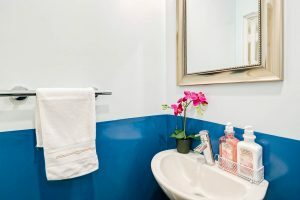 The Suite has a full bathroom with gleaming white tile floor, double sinks, and mosaic tiled shower/tub. 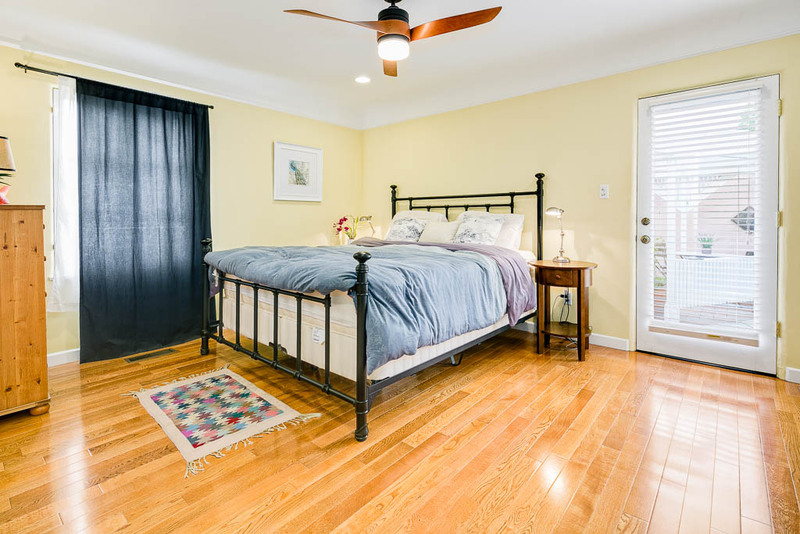 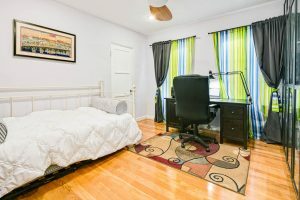 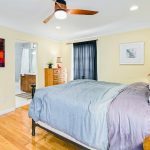 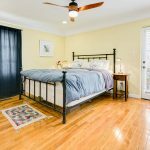 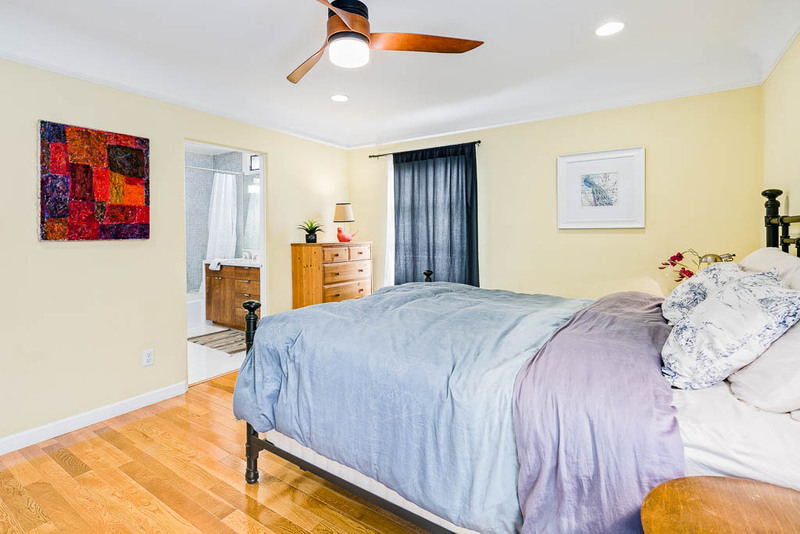 The bedroom has a coved ceiling, contemporary, remote operated, ceiling fan/light as well as recessed lights. 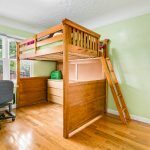 It has a generous sized closet. The other two bedrooms are good-sized. 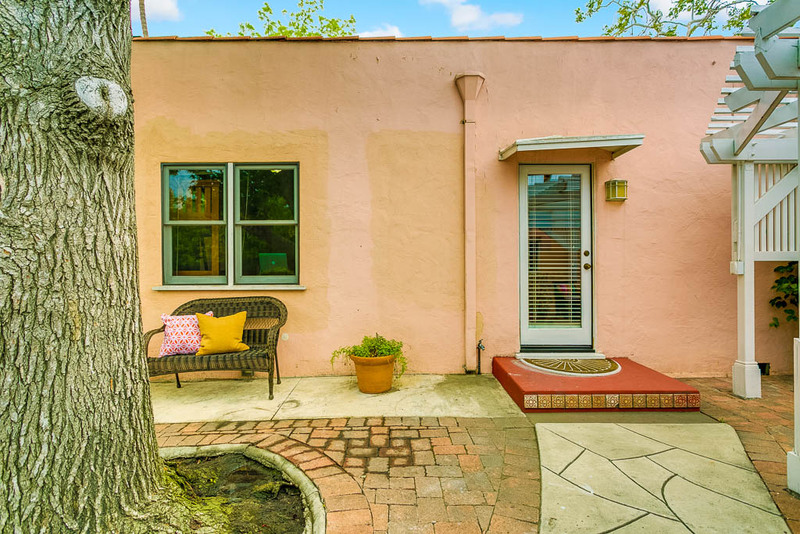 One has a walk-in closet. 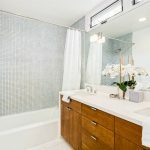 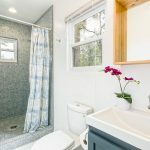 There is a 3/4 bathroom off the hallway with mosaic tile shower, slate flooring, contemporary cabinet sink and framed mirror. 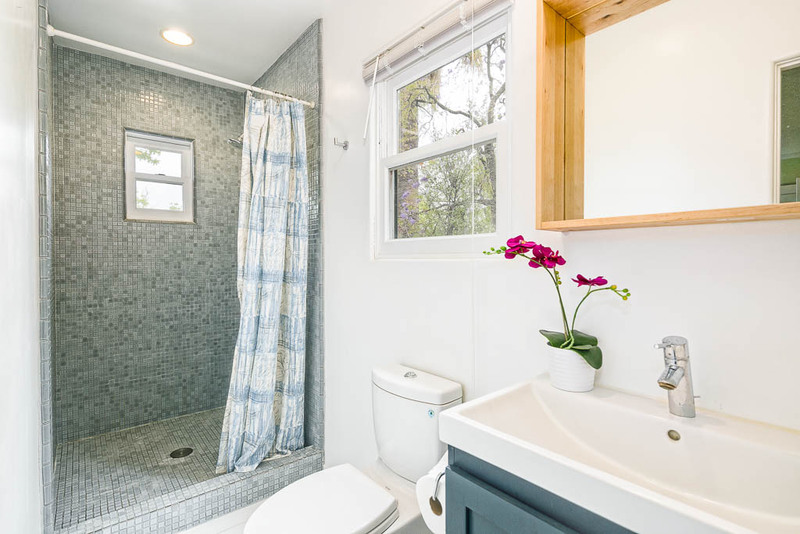 Another half bathroom off the hallway has a Toto DualMax toilet, slate floor and pedestal sink. 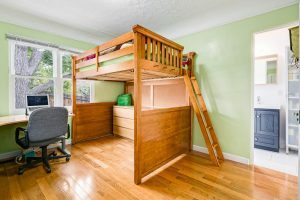 There is a washer/dryer closet in the hallway as well as a linen closet and yet another closet. 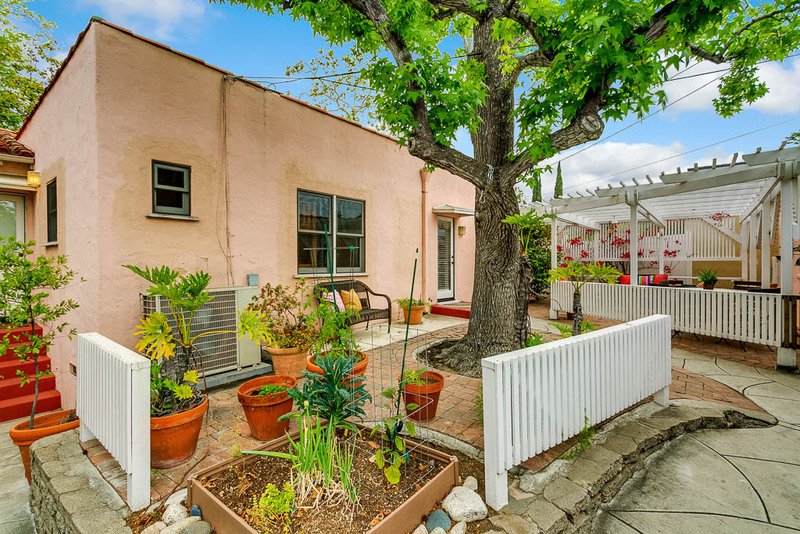 The front yard has a flat grassy area and courtyard with fountains and potted palms. 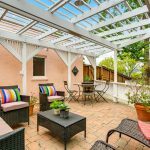 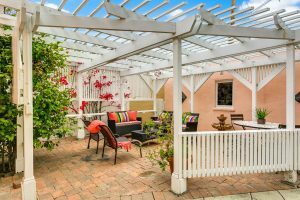 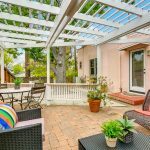 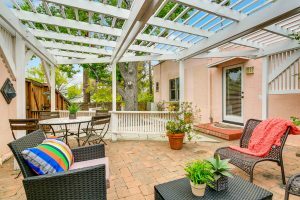 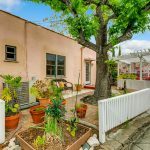 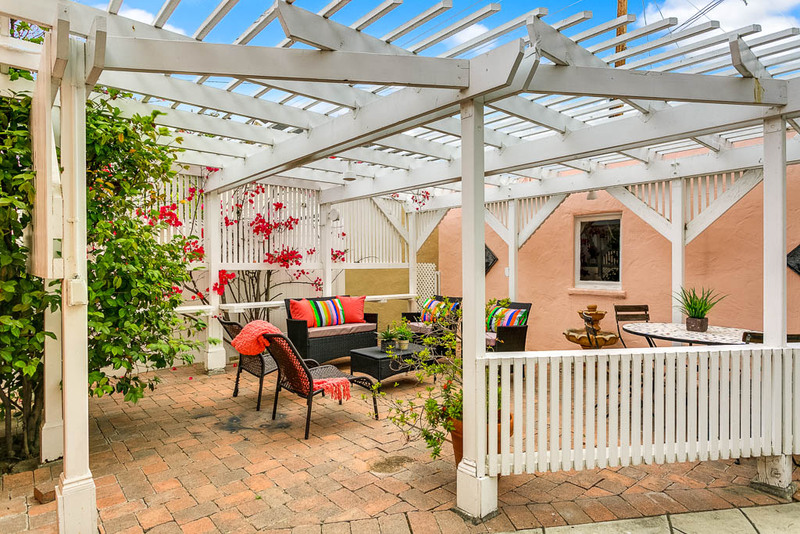 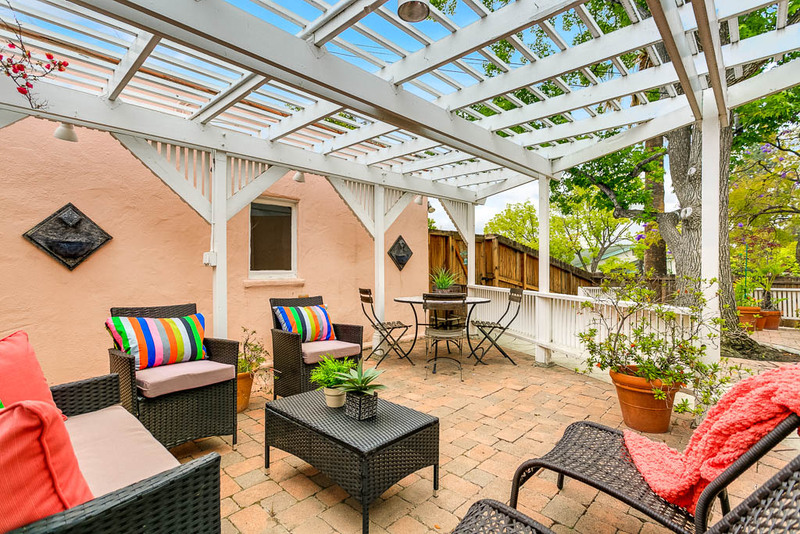 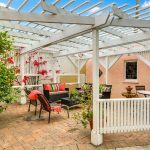 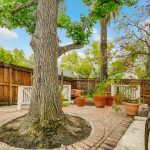 The fully fenced backyard has a pergola with a comfortable paving stone sitting area. 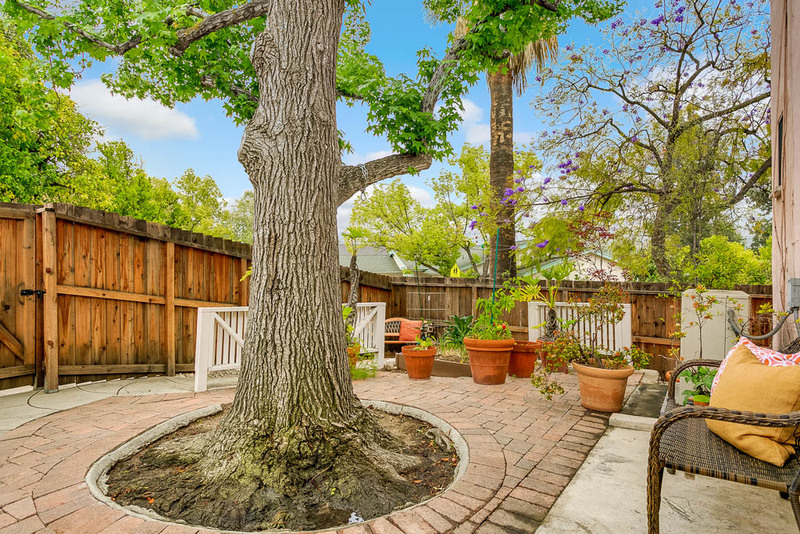 There is also a raised bed garden. The garage is 2-car detached with extra storage shelves. 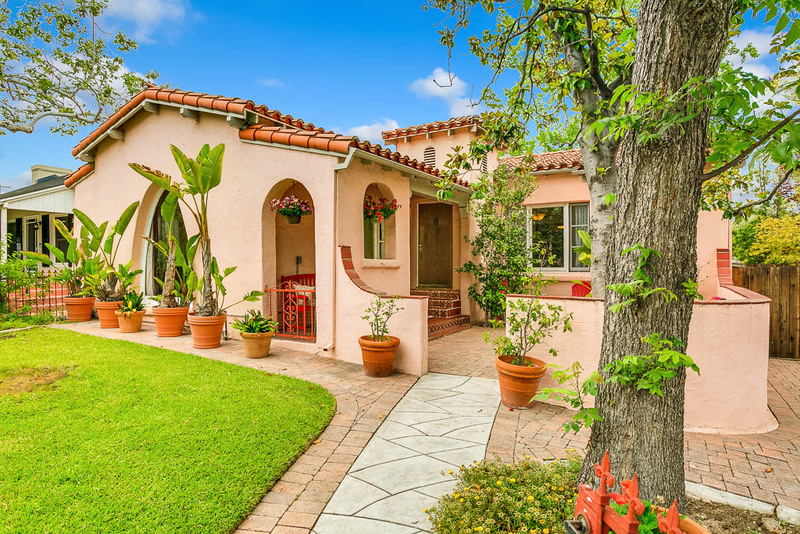 This house includes terra-cotta roof tile, hand painted tiles at the front porch, original floor tile in the foyer, copper plumbing, gutters, some double pane windows, central furnace with high efficiency air cleaner, earthquake retrofitting, lime, grapefruit, and palmetto trees. 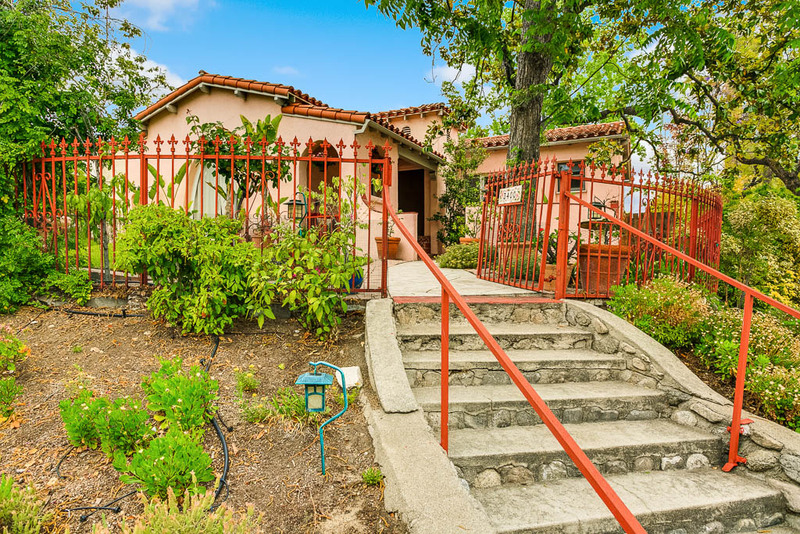 A short walk to the award winning Fremont Elementary School, the Sparr Heights neighborhood offers walkability to shops, restaurants, public transportation, and Montrose Park. More than an updated architectural home, this house includes a prized neighborhood.